• Feel free to call us to check on item availability – please ask for our seasonal department! 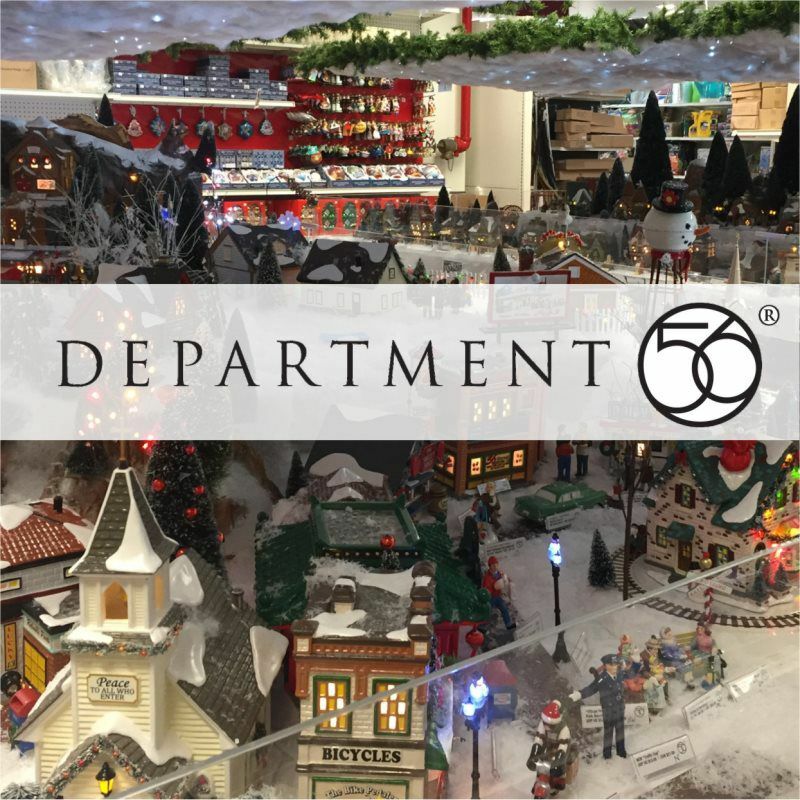 We are one of the few stores in the Pittsburgh area that carry Department 56 lighted houses, so we are pleased to offer you almost every new and current piece available in their village catalog. This includes the lighted houses and accessories from Dicken’s Village, The Original Snow Village, Christmas in the City, North Pole, New England Village, Alpine Village, and Halloween Village as well as the smaller villages, including The Christmas Story, National Lampoon’s Christmas Vacation, Peanuts, and the new Frozen Village! There are too many pieces to list them here and new pieces are always being made and old pieces being retired. But all along, Department 56 has stayed committed to expertly designed and hand-painted pieces that are true collectibles. We have customers with hundreds of pieces and others with just a few. No matter how many pieces you own, the life that the Department 56 pieces bring to your display and the fun that kids have with the pieces are a nice addition to any holiday! To see what is new and current, please visit the Department 56 website. New pieces arrive to us between August and September each year, so that we can build our large display starting in September. By October, everything is just about in-stock and on display with the exception to some of the mid-year pieces. If you are interested in knowing if we have that special piece that you are looking for, please feel free to give us a call – we would be glad to check our inventory!